Earlier this week I had the pleasure of isolation for a few hours. Marooned on a not-quite-desert island, cut off from the mainland by a running tide. An opportunity to think. Space, distance etc. Not that I need any of this because I am stressed out or anything like that, I just like the disconnection with the real world for a few hours. Just birds for company. West Kirby looms in the background, but it's hustle and bustle seems many miles away. 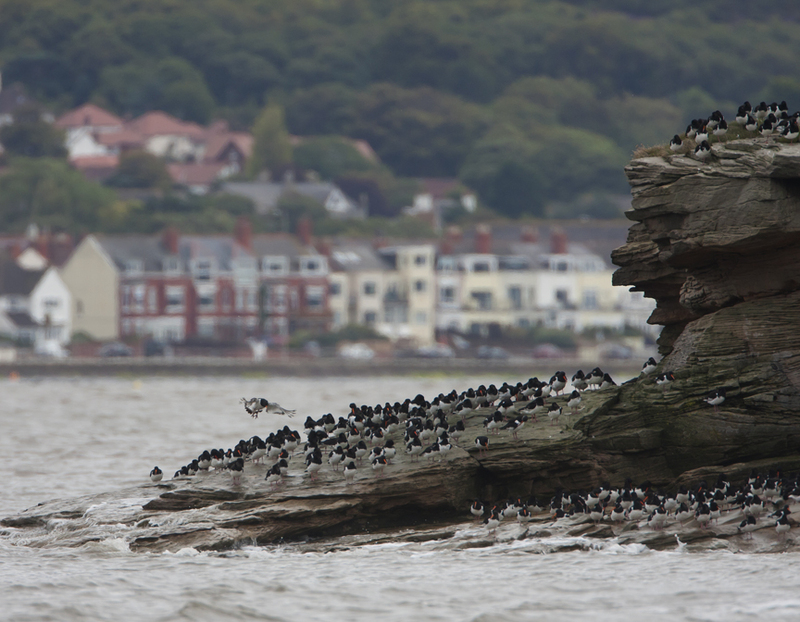 There is much hustling and no small amount of bustling on Middle Eye as roosting Oystercatchers jostle for the best spot to see out the high tide. So I sit and clear my mind, camera at the ready. 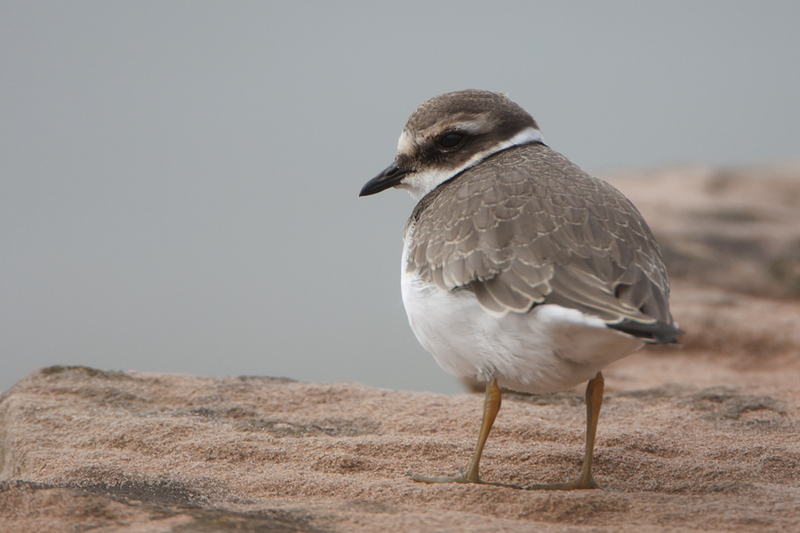 A Ringed Plover drops in. It faces a sea that is churned by a stiff breeze. It stares out for ages, just looking at waves. It looks ponderous to me. 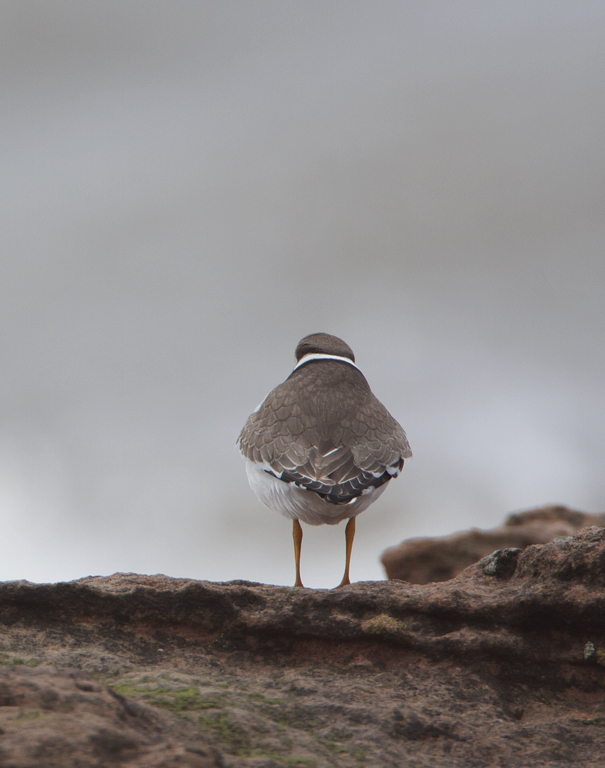 I start to wonder what a Ringed Plover thinks about when it stares out to sea. Things are getting a little deep and meaningful, so I knock the philosophising on the head and take in my island surroundings and its inhabitants. 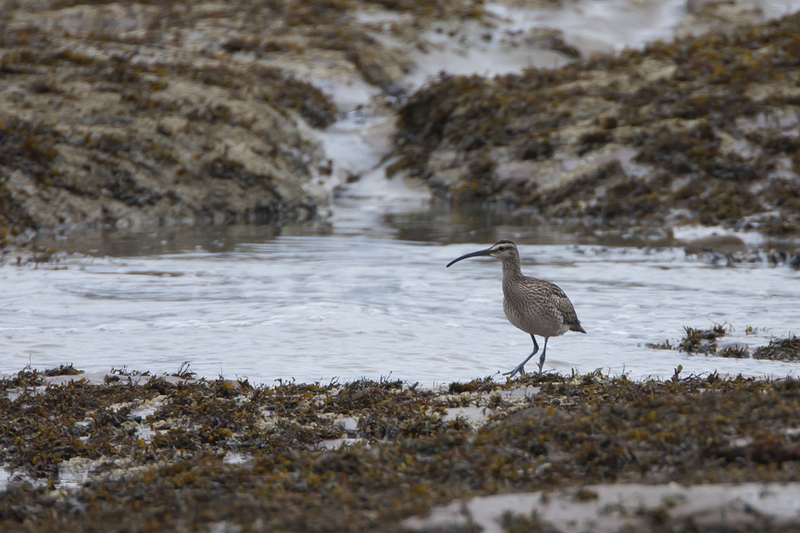 A Whimbrel appears, sifting the weed around a pool for a spot of lunch. Dark head markings obvious at this range, no mistaking this for a Curlew. 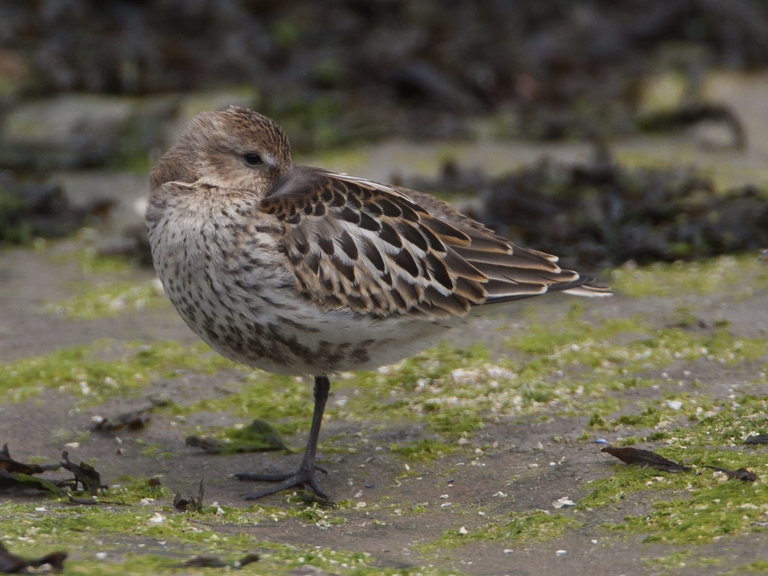 ...and bed time for the Dunlin. 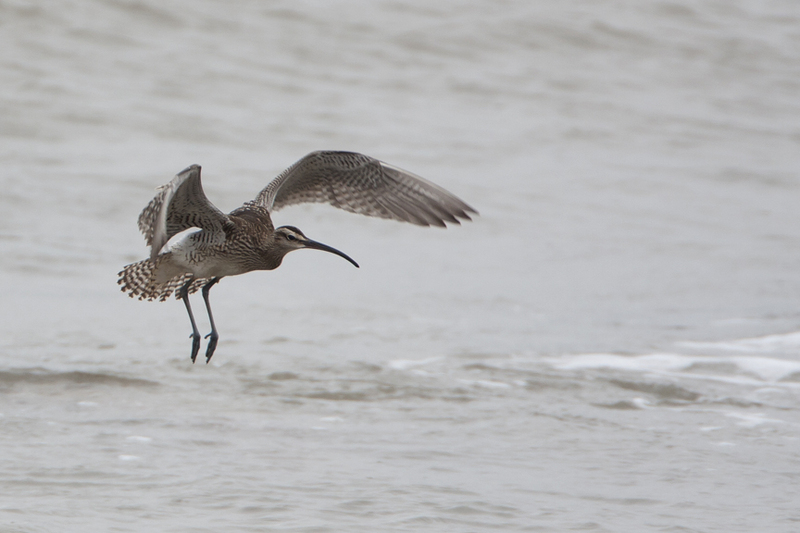 The Whimbrel finishes lunch and flies off to Middle Eye to join the throng of Oystercatchers. The wind picks up, bending tender stems of Rock Sea Lavender. 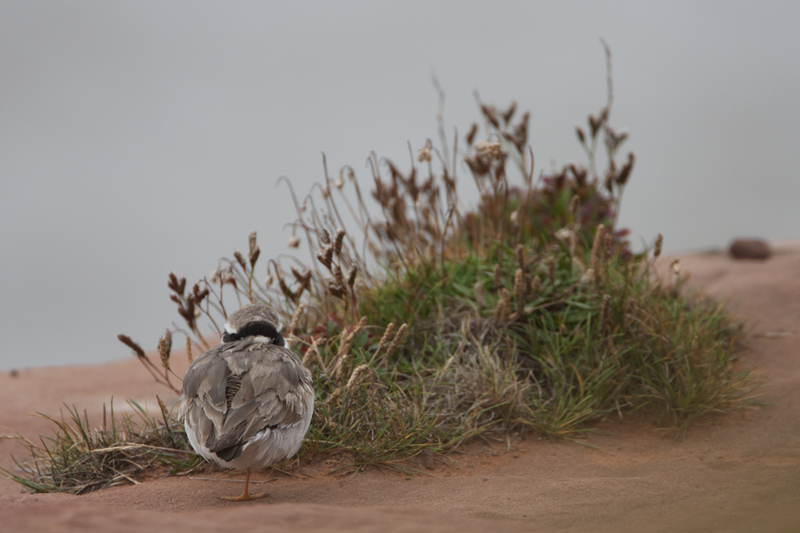 The ponderous male Ringed Plover decides to take a nap in the lee of some wind-blown, salt-scortched plants. I stop myself from wondering if he dreams, and what he dreams of. Far too metaphysical, I just take his picture instead. A grumpy looking juvenile Ringed Plover flies in and lands close by. I start to wonder if it travelled here with it's siblings and if not, if it will ever see them or it's parents again. 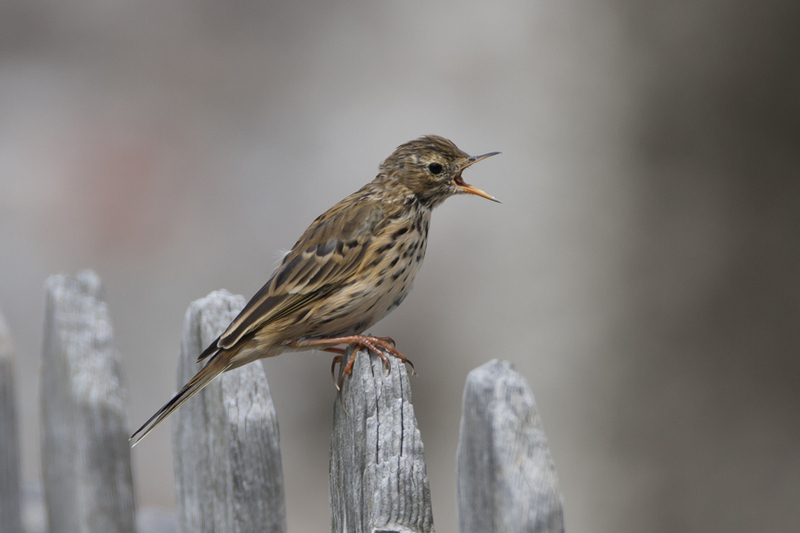 How will it decide where to go next, how does it know when it's migrated far enough? 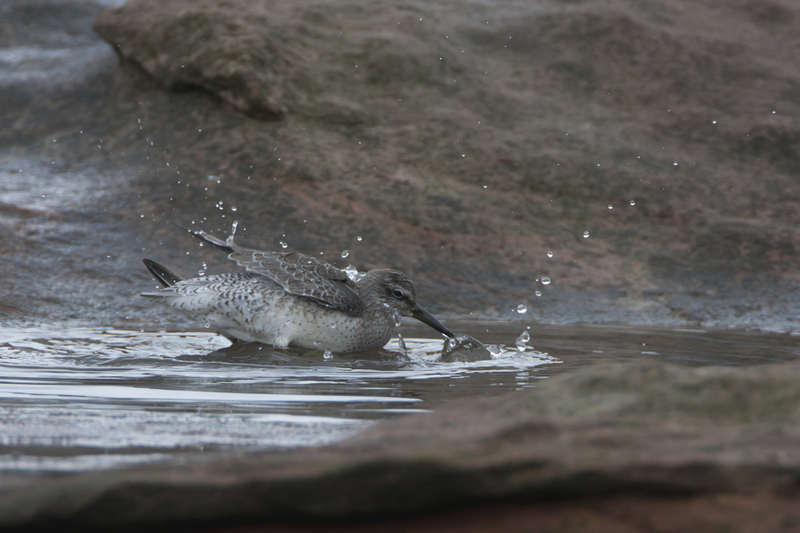 Loads of questions drift across my brain, some quite legitimate scientific points about migration, other preposterous ideas about dreaming wading birds. For it's part the adolescent Ringed Plover shoots me a derisory look, tucks it's head under it's wing and goes to sleep.